Take a moment to think about where you get better service. Is it generally from bigger companies or smaller ones? The argument for bigger companies is they have more resources. That's what allows a company like Amazon to automatically refund the cost of an on-demand movie when their computers detect the playback quality wasn't up to par. The argument for smaller companies is they're more personal. Chances are you know a few people by name who have served you for years - the person who cuts your hair, the owner of your local dry cleaner, or a waiter at your favorite family restaurant. The answer might not be what you think it is. This post explores some data that suggests some surprising conclusions about the impact of size on service quality. I asked the good folks at Zendesk if they could help me with some data. They had revealed some insights about service quality by company size in their original Zendesk Customer Service Benchmark report. That report was released in 2012, so I wanted to see the latest trend. Zendesk provides customer service software, which means they have access to reams of aggregate data on actual customer service interactions. They were able to look at their clients' customer satisfaction ratings and group them by company size. The data shows that large companies have the best service, followed by the smallest organizations. Mid-sized companies have the worst service. The big question is why? One possibility is employee engagement. There are quite a few studies that show a correlation between service quality and employee engagement. A 2012 research report from the Temkin Group shows that employees in smaller companies are considerably more engaged than in large companies. The data helps explain why smaller companies generally provide better service, but it doesn't explain why Zendesk's data shows that large companies provide the best service. One explanation is that Zendesk grouped companies into different categories than the Temkin Group. Zendesk's data separates companies with 500 - 4,999 employees and 5,000+ employees, while the Temkin Group's largest categories are 100-1,000 and 1,000+. Another explanation is that engagement isn't the sole driver of customer service quality. Other factors play a role such as the product, processes, and policies. Big companies tend to do this better than mid-sized companies, which can sometimes experience growing pains. Small companies are often small enough to continue operating informally. Still one more explanation is team size. There's some anecdotal evidence that suggests the size of a team can have an impact on service. Let's go back to the Temkin Group data on employee engagement. Teams in small companies tend to be small because there aren't a lot of employees in general. Work teams tends to grow as employee counts grow. Why is this important? A lot of great customer service comes from teamwork. Teamwork comes from creating strong relationships, which is hard to do in larger groups. Look at how many relationships are created as a team expands from 2 employees to 10. # of Relationships = (x-1) * (x/2) where x = the number of people on your team. But, what about large companies? In very large companies, it's not uncommon for employees to form tight relationships with people on their work team while employees in other departments or locations remain relatively anonymous. For example, Amazon lives by what CEO Jeff Bezos calls the Two Pizza Rule. The idea is that teams shouldn't contain more people than you can feed with two pizzas. That generally works out to about eight people. FCR is a U.S. based contact center outsourcer. They have 1,400 employees who are spread out over six contact centers in Oregon. Part of their strategy is limiting the size of their contact centers to approximately 350 employees. I asked Jeremy Watkin, FCR's Head of Quality, for some insight into why the company has so many small centers. He gave me a few reasons. The first was practical. "If you look at our centers, they all have a very similar feel. They are typically in an old warehouse, department store, or grocery store space and we use every square inch." The second was strategic. Locating their contact centers in small Oregon towns gives FCR access to a strong labor market while keeping costs relatively low. However, being in a small town also means that there are only so many potential employees to fill those jobs. The third reason is culture. FCR is deliberately trying to create a strong, customer-focused environment where people enjoy a collegial atmosphere. In fact, colleague is FCR's name for employee. Watkin told me that people coming from larger contact centers are usually surprised when they join FCR. "At FCR, they feel like people know their name and that they matter." I wanted to learn more about FCR's approach to team size. Thankfully, Jeremy agreed to let me interview him via Google Hangout. I hope you can join us. 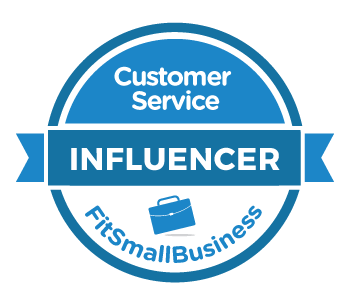 We'll be discussing how team size can impact customer service. 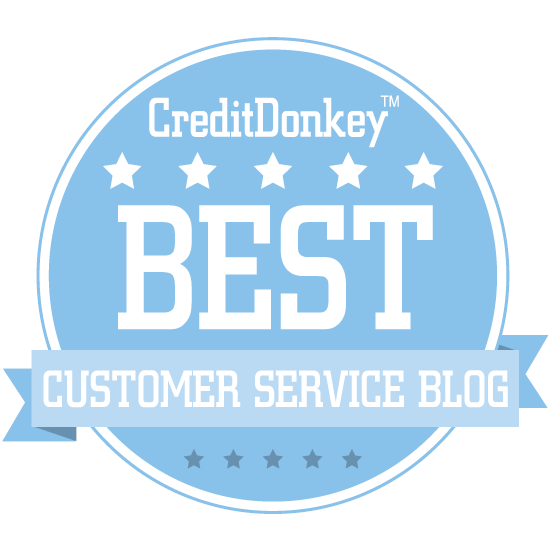 Jeremy offers a unique perspective since he led the customer service function in a company with less than 50 employees before joining FCR.